There are hundreds of torrent sites on the internet but only very few are reliable. Kickass is one such site which stands apart with unlimited valuable content. However, many governments, ISP providers and institutes are cracking down torrent sites. After the arrest creator of the Kickass torrent- Artem Vaulin, the official website of the kickass torrent has been taken down. But the Kickass community has kept the website afloat by changing their domain from now and then. To come around this problem, “Proxy” websites and Mirror sites have come to our rescue. Here I have compiled some of the best Kickass Proxy & Mirror websites which are up and running. Check them out. Also note that these are proxy sites and they are blocked by many ISPs. More over, these sites might contain a lot of spammy ads, irregular CSS, slow site speeds etc. One must compromise on these things to get to what they need. 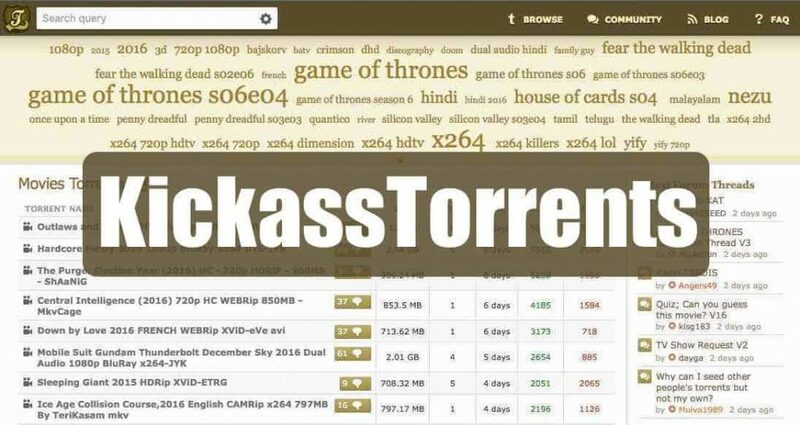 These links help you to access the kickass torrents without the use of proxy and experience the original kickass content. Here we have listed all the proxies or the mirrored links that are active to use it. When your ISP provider or government has blocked a particular website in your region, basically your IP address is unable to access that particular server which routes you to the destination site. However, with a proxy server, your IP address is masked with a new IP and these systems cannot detect your real origin. Thus, you can access your favourite site. You can use VPNs for this purpose. Check out this list of best VPNs in 2018. What are Proxy/ Mirror websites? Mirror sites and proxy sites provide users with similar experience as that of the original site. These sites are able to offer everything which the original site could offer. Consequently, it will not matter whether the original site is blocked or banned, the torrent site is available for usage.